In the past, Nebraska wrestling coach Mark Manning has stressed how important a strong mindset is in order to have success in postseason tournaments. Champions aren’t just physically strong; they’re mentally strong, too. As the Huskers prepare for the NCAA Championships this Thursday through Saturday at the Quicken Loans Arena in Cleveland, Ohio, Manning is making sure his seven qualifiers stay ready mentally. “Just really harping on staying relaxed. Staying in the moment, staying off social media,” Manning said about what he’s been telling his wrestlers in practice this week. Nebraska’s seven NCAA qualifiers are Jason Renteria (133), Chad Red Jr. (141), No. 13 seed Colton McCrystal (149), No. 8 seed Tyler Berger (157), No. 11 seed Isaiah White (165), No. 7 seed Taylor Venz (184) and Eric Schultz (197). Prior to the Big Ten Championships on March 3-4 in East Lansing, Michigan, Manning said he liked where his wrestlers were mentally. Nearly two weeks later, that opinion hasn’t changed. Manning said on Monday he believes captains Berger and McCrystal are wrestling at the top of their game. Both Berger and McCrystal placed fourth at the conference tournament. 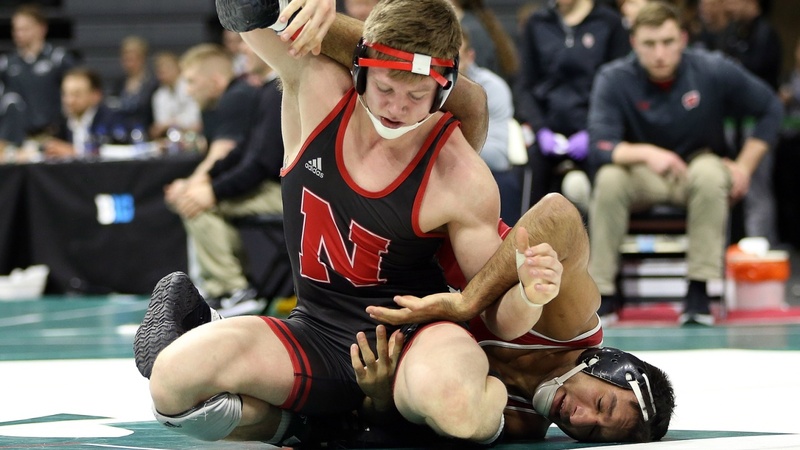 Nebraska placed fifth as a team at the Big Ten Championships, but could have finished fourth, ahead of Iowa, had it come out on the winning end of some tight matches. Manning added he feels good about the positions his wrestlers stand in their respective brackets, but knows the opponents will, too. Six of the seven qualifiers could see a common opponent from the regular season in the first or second round of the championship bracket, or in the first round of wrestlebacks. The Huskers could have an edge facing a familiar opponent, but they have to use it. In order for his wrestlers to stay prepared mentally, Manning said they must focus only on the things they can control. The NCAA wrestling tournament is just like the NCAA basketball tournament, except times it by 10 for each weight class. “That bracket is never going to go as you’d think,” Manning said. Just as he did prior to the conference championships, Manning feels good about his team and each of the seven qualifiers. Nebraska has finished inside the top 10 of the team standings each of the last three seasons. Last year, four Huskers earned All-America status, the most since 2009. The last time Nebraska didn’t have an All-American was 1988. Session I of the NCAA Championships will begin on Thursday at 11 a.m. CT, followed by Session II at 6 p.m. Both Friday and Saturday’s sessions will begin at 10 a.m. and 7 p.m. All morning sessions will be aired on ESPNU, while the evening sessions will be aired on ESPN.